Does the boy look a bit confused? I am confused too. The red flags stand for the USSR, a country that doesn�t exist for 14 years or so. 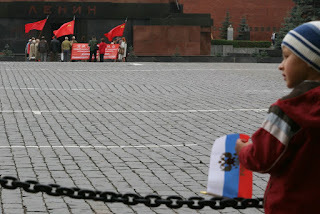 The red, blue and white is the flag of Russia.